This year the French Air Force EC 3/12, flying the Mirage F1C, exchanged with the Italian Air Force 10 Gruppo based at Grazzanise AB, flying the F-104S/ASA. It is unknown if it was a 1 or 2 way exchange but at least the Italian Starfighters were seen at Cambrai in April. 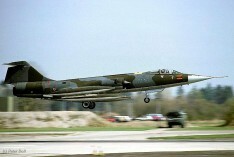 This month the German Air Force JBG32, based at Lechfeld AB, flying the Tornado IDS, exchanged with the Italian Air Force 22 Gruppo based at Istrana, flying the F-104S/ASA. It was a 2 way exchange. 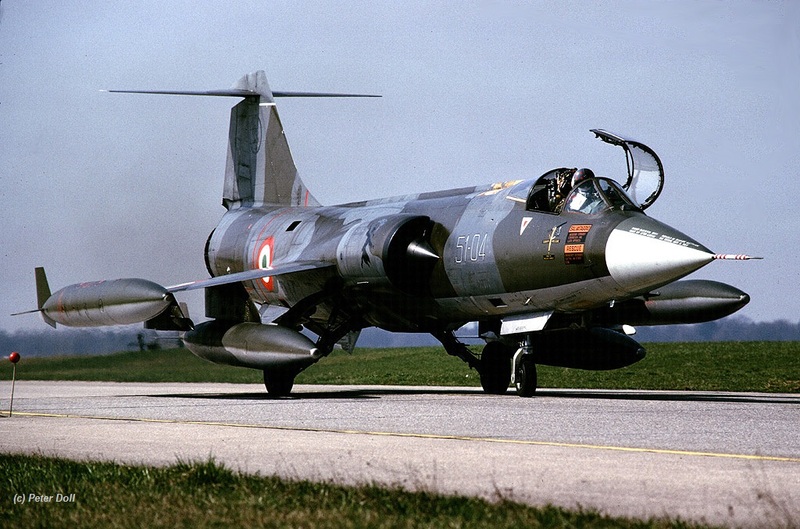 At least four Italian Starfighters flew to Lechfeld of which we could identify three being MM6775 code 51-01, MM6828 code 51-04 and MM6937 coded 51-16. Beneath some photos taken at Lechfeld by Peter Doll. This year the Spanish Air Force ALA 12 (121 Escuadron), flying the EF-18A Hornet from Torrejon, exchanged with the Italian Air Force 102 Gruppo based at Rimini, flying the F-104S/ASA. It was a 2 way exchange. 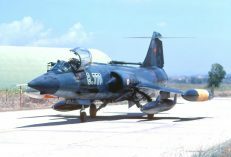 Italians were seen in Spain including MM6847 code 5-14 and MM6??? code 5-23. Beneath a small but interesting photo thanks to Danilo Rao showing a mixed formation of aircraft types over Spain. 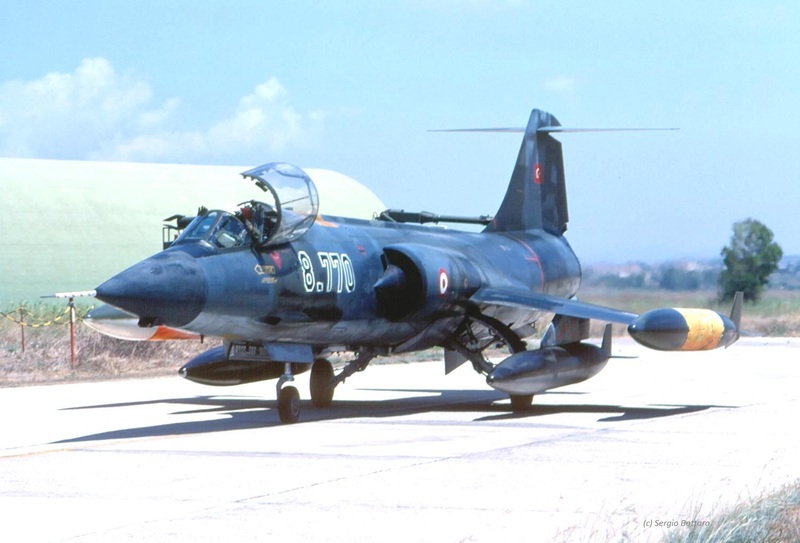 This period the Hellenic Air Force 349 Mira at Larissa, flying the F-5A, exchanged with the Italian Air Force 23 Gruppo based at Rimini, flying the F-104S/ASA. It is unknown if it was a 1 or 2 way exchange but the F-5s at least flew to Italy. This month the Danish Air Force 723 Eskadrille, based at Aalborg AB, flying the F-16A exchanged with the Italian Air Force 21 Gruppo based at Cameri AB, flying the F-104S/ASA. It was a two-way exchange. 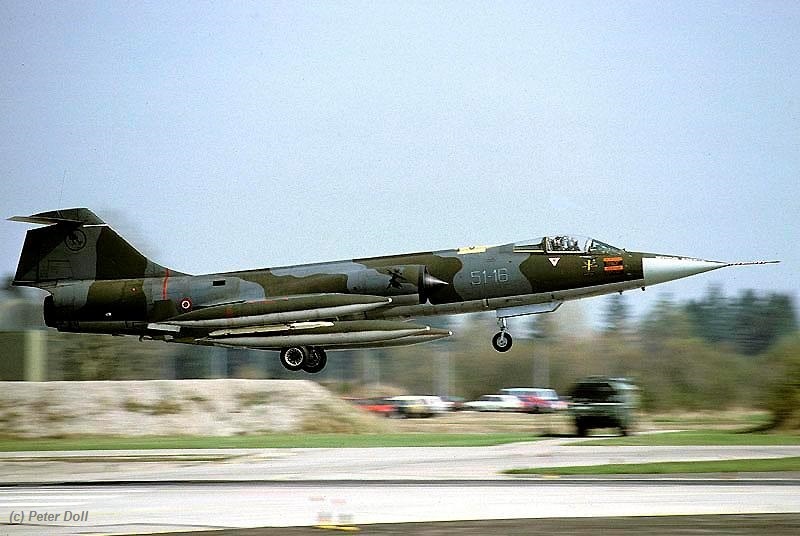 F-104s at Aalborg were MM6824/53-02, MM6713/53-05, MM6815/53-11 and MM6926/53-12. These aircraft flew back to Cameri on June 12th via Bitburg. 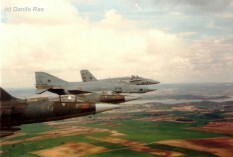 This year, during late June and early July, the German Navy MFG2, based at Eggebek, flying the Tornado IDS exchanged with the Italian Air Force 9 Gruppo based at Grosseto AB, flying the F-104S/ASA. It was a two way exchange. 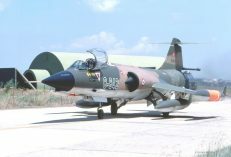 The Italian Starfighters which flew to Germany were MM6800/4-1, MM6787/4-7, MM6763/4-9 and MM6771/4-16, all seen for example on June 25th. 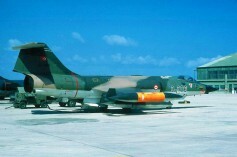 Aircraft 4-9 had a special color scheme "Magg.Rosso". 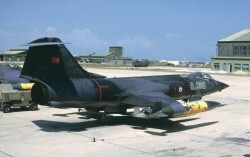 Transport was by C-130H MM61994/46-08. 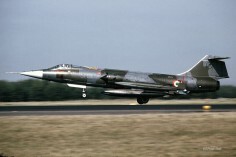 The aircraft flew via Norvenich where they made a fuel-stop. 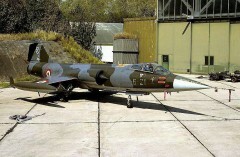 This year the German Air Force JBG31, 1 Staffel, based at Norvenich, flying the Tornado IDS exchanged with the Italian Air Force 12 Gruppo based at Gioia del Colle, flying the F-104S/ASA. It was a 2 way exchange. Italian Starfighters seen in Germany were MM6805/36-06 (flown by Capt. 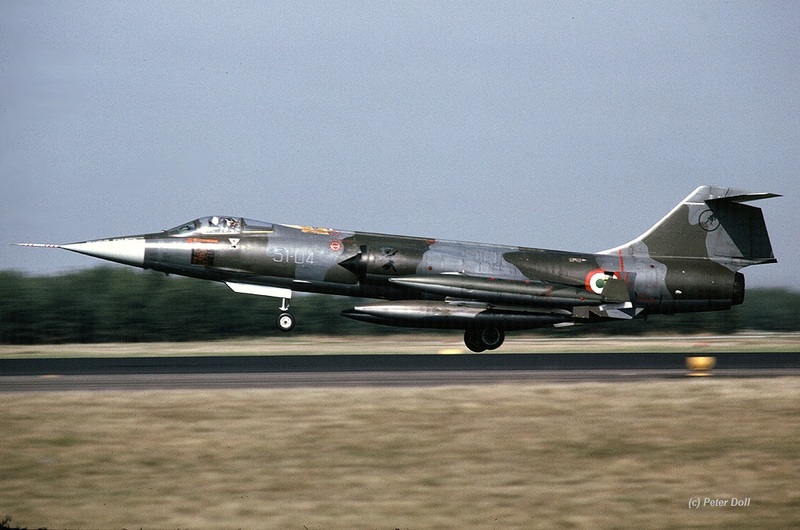 Magro), MM6825/36-11 (flown by Capt D'Amico) landing on August 28th and MM6774/36-21 and MM6943/36-20 which landed 2 days later. Transport was by C-130H MM61991/46-05 and when leaving Norvenich transport was taken care by G-222 MM62125/46-87 which landed September 5th.